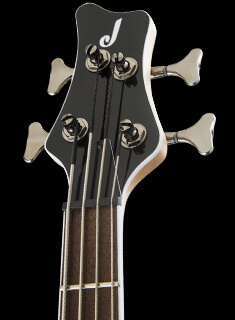 The Pro RR pairs a mahogany body with a one-piece through-body maple neck, bearing a pair of graphite rods for reinforcement against the assaults of temperature and humidity. 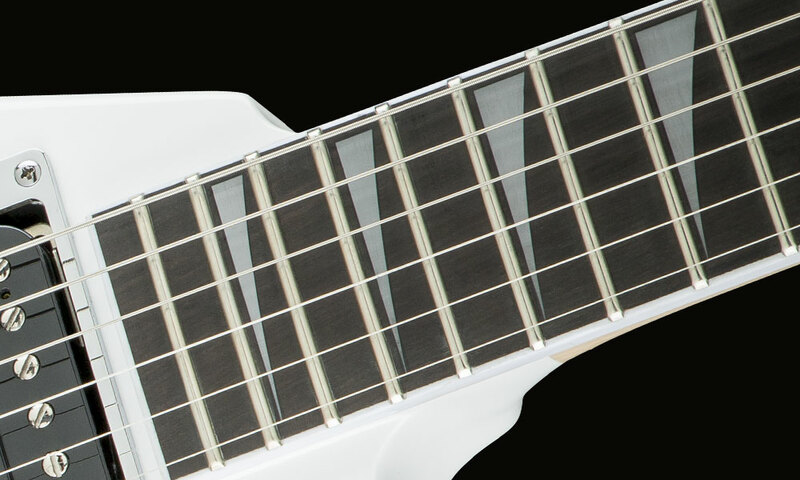 The speedy neck profile is engineered for blazing guitar work, removing any obstacles to fleet-fingered playing and granting easier access to the upper frets. 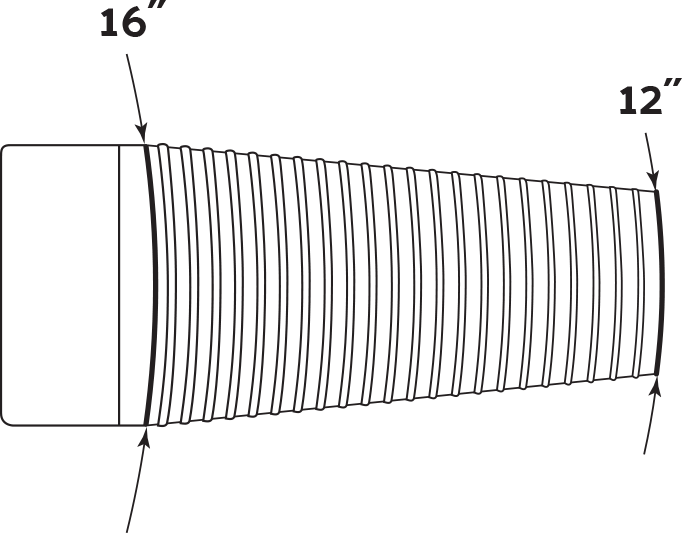 A 12”-16” compound radius ebony fingerboard is also engineered for highly technical lightspeed playing—more curved by the nut for comfortable chording, it flattens out as you move up the speedy neck for increasingly fast playing speed and wide bends without fretting out. 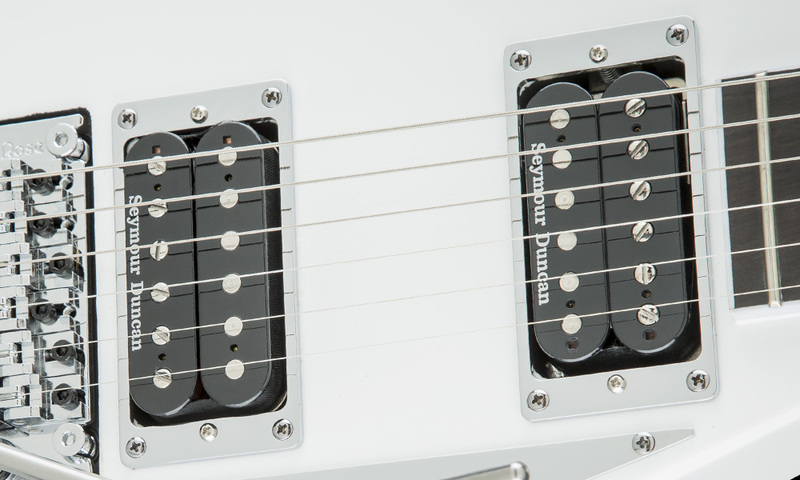 A pair of modern Seymour Duncan® Distortion humbucking pickups drives this guitar’s voice, combining for highly balanced, flexible tone for even the most aggressive of styles, with plenty of high output for pristine cleans and snarling distortion. 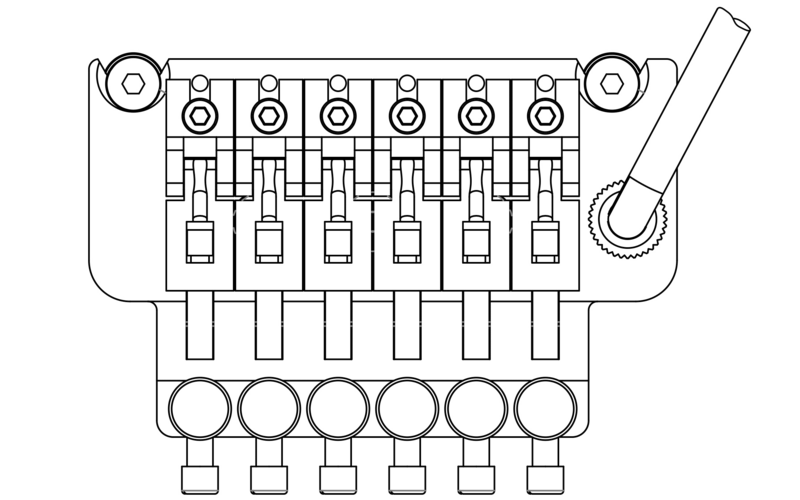 The sensitive Floyd Rose® 1000 Series recessed double-locking tremolo system adds expressive vibrato to notes and chords with the tap of a finger, along with rock-solid tuning performance and precise intonation. 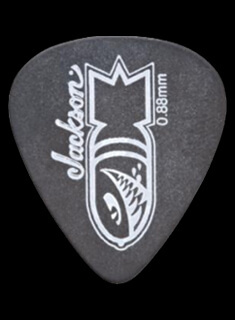 The most recognizable of Jackson’s myriad offerings, this guitar boasts the familiar aesthetics that make Jacksons in demand for performing guitarists. 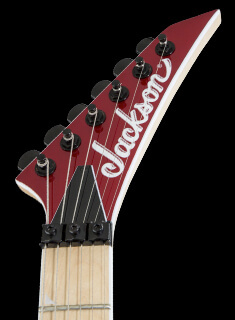 From chrome hardware to the unique inlays, pointed 6-in-line headstock and revolutionary body designs, this instrument is very distinctly a Jackson creation. 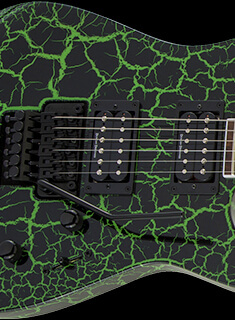 Jackson guitars don’t just push the envelope, they annihilate it—and the Pro Rhoads RR is no exception to the rule.